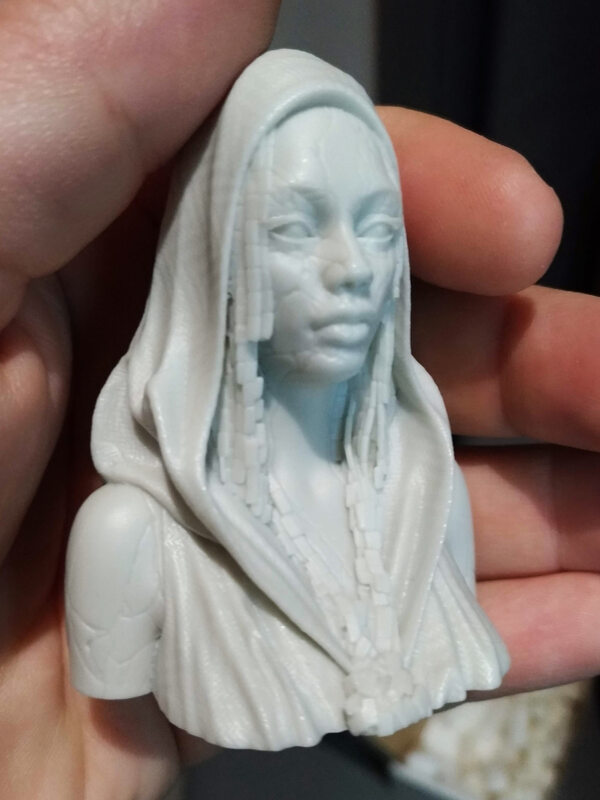 This bust was a part of a Kickstarter opened and managed by Ouroboros where they proposed three sci-fi busts, togheter with other pieces reached with goals. 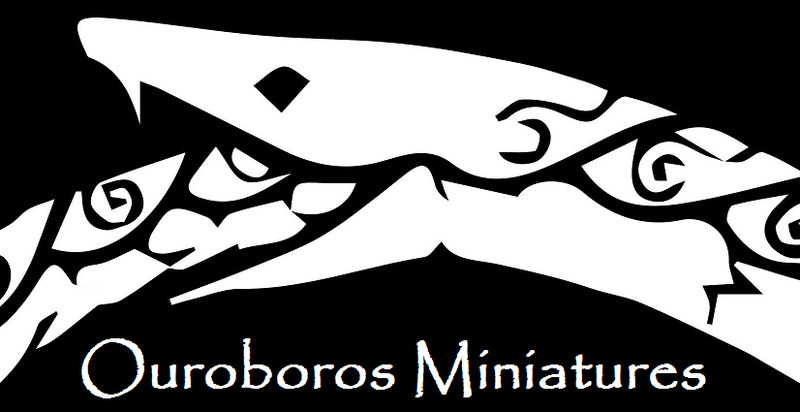 Really interesting products if you like cyborgs and similars. For that raffle I chose “Fractured”, that hooded crackled ladybot. 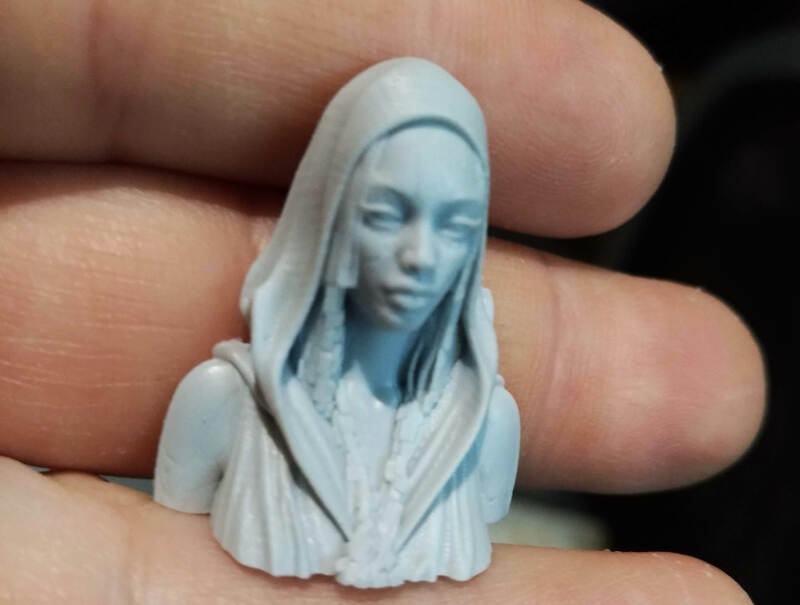 I was a little skeptical about those busts because the photos shown were rendered and digitally colored and I had some difficulties to imagine how they can turn out when painted. 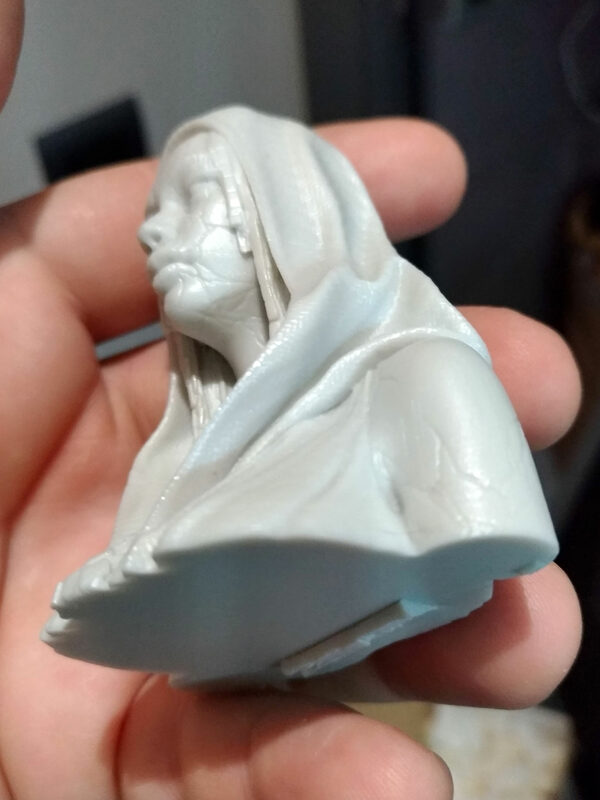 Another doubt that knocked at my brain was about interpretations of this bust: it’s heavily characterized and routed… it’s a breaking cyborg and other than colors what can I do to realize a unique idea? Really no other interpretations? (a diseased girl? a doll?). Maybe there is little space for interpretations. 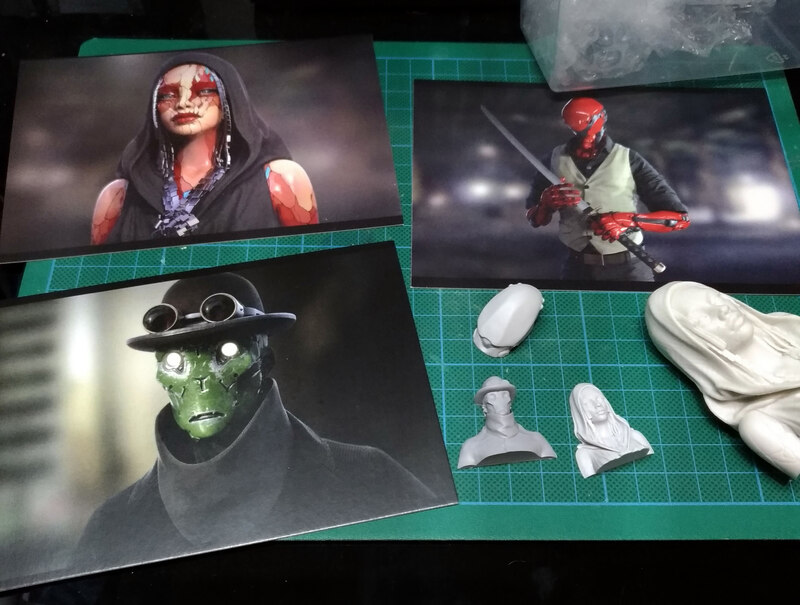 Let’s put away doubts and questions and examine the sculpture, starting from packaging. 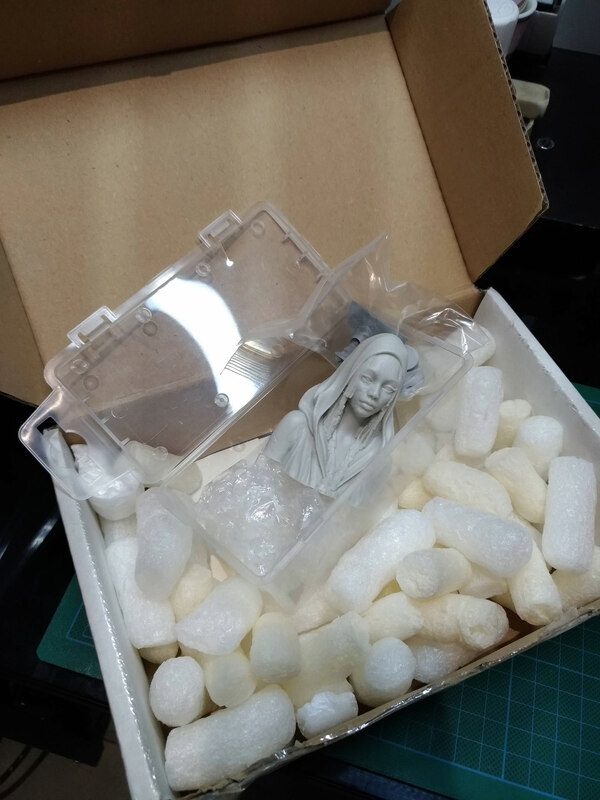 As you can see in photo I received a pack full of styrene chips to protect a plastic clear case containing the bust, wrapped in bubble plastic sheet and with a hidden big surprise: three little half busts of the three cyborg came togheter with their big sister. They are beautiful, and can be used as fridge magnets or other decorations! That’s unexpected awesomeness! (gifts inside a gift! Is it Christmas?). On the bottom of the box I found also three postcards with the images of the rendered busts. 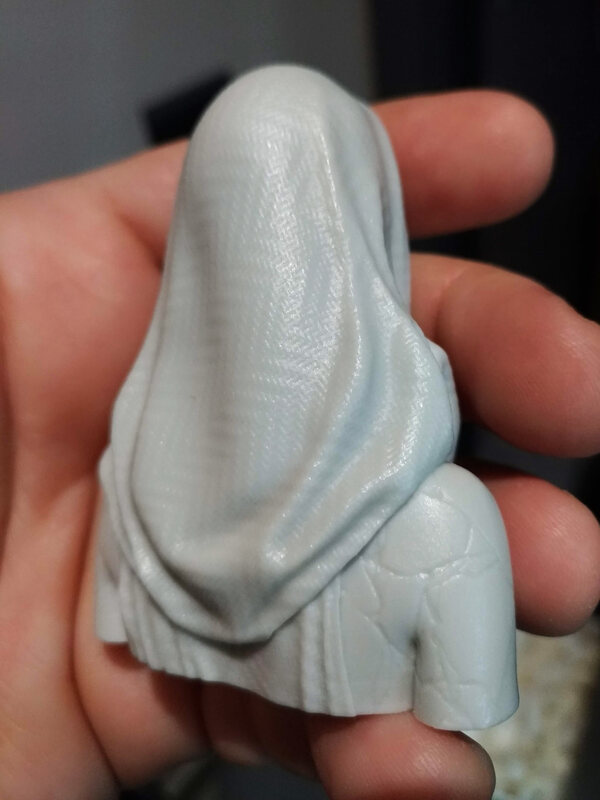 The main bust is one block of resin, it’s less than 80 mm tall and I can tell that’s almost a perfect cast. It’s clean and without any flaws or leaks. There is only a part that has to be cleaned: a tiny block under the base, a remain of the resin flow. It’s on a side that will be oviously hidden, so It’s ok! 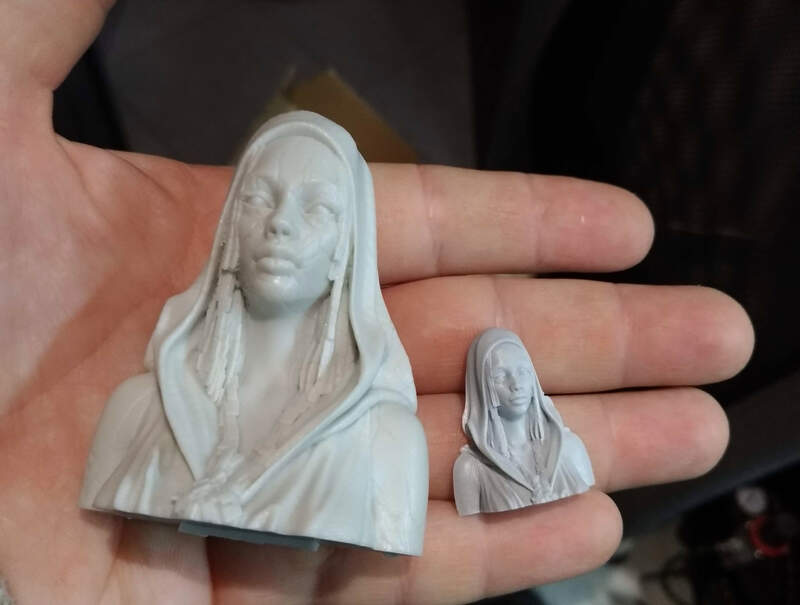 There are little leaks on minor half-busts (you can see a comparison between the “two sisters” in the photo), but nothing important and easy to clean. The important part of this bust is textures. 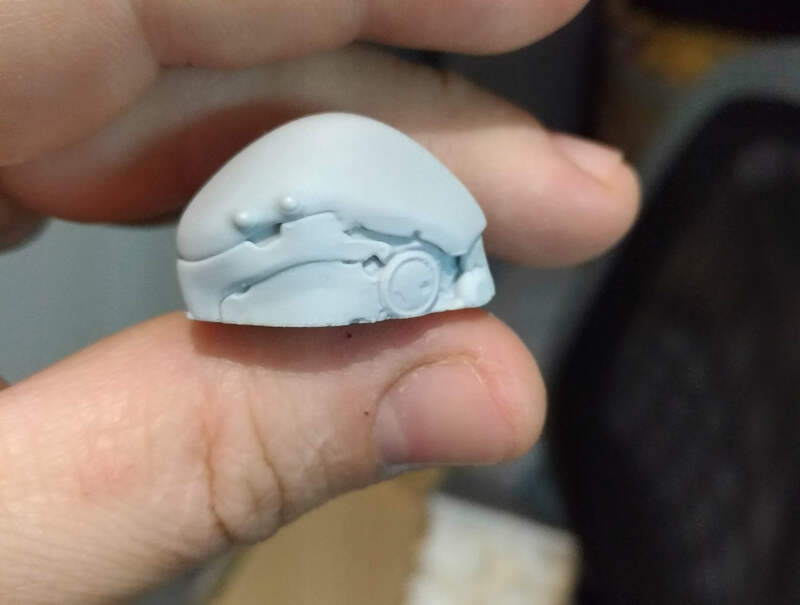 It has a lot of different textures and it’s important that sculpt quality is high, to avoid textures loss. We have all the crackles on face and shoulders, togheter with a sort of necklace, linked with hair, made of little rectangles. To frame all these particulars, there’s a hood with micro texile pattern. 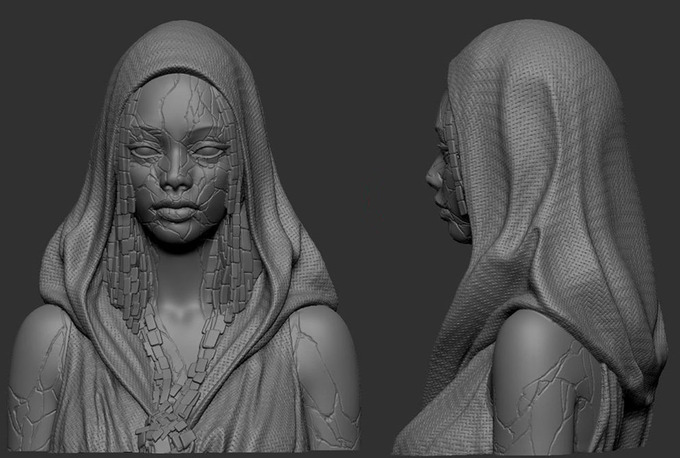 Personally I don’t like 3d (zbrush) sculptures where you can feel the work of machine more than sculptor’s hand. For example, that texture of the cloak, so schematic and complex, can’t be obtained by hands, and it gives me an industrial feeling instead of handmade sculpture (it’s only my personal opinion and taste). These three little half busts are a nice gift. 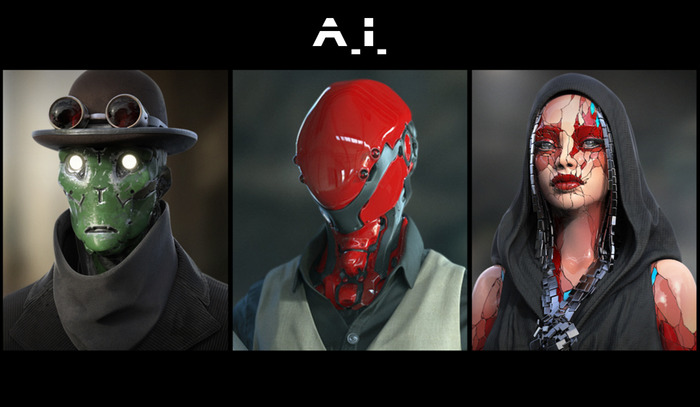 I’m writing “half” busts because they’s only the frontal part with a plain back (third is upper part of cyborg head). Put a magnet or adhesive on their back and they became a funny decoration. The third head is a little difficult to use, because it was cut where the neck shoud be, but it can be completed sculpting neck and shoulders or it can be represented as emerging or sinking in some liquid (water/oil). In conclusion: the bust is big enough to be fun to paint, It’s not difficult to clean and handle and it came with other gifts. 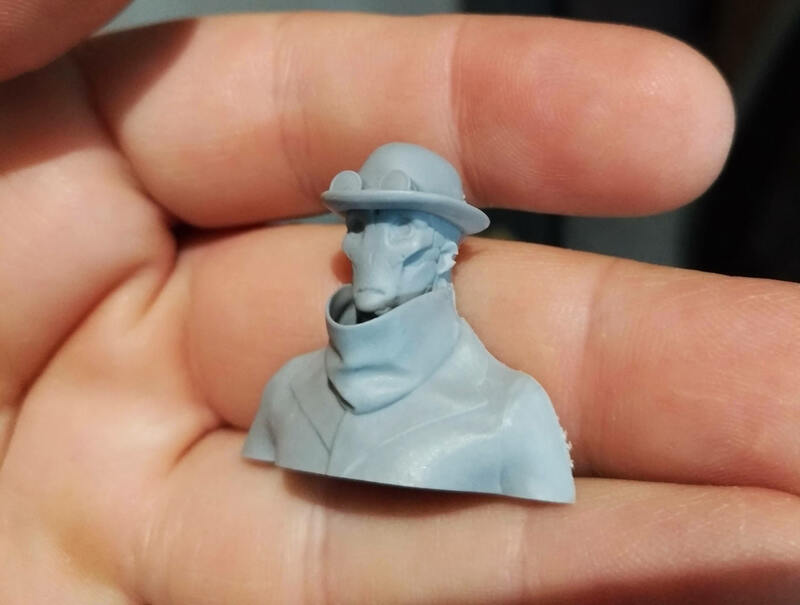 Its price, 45€ + shipping fees, is a little bit high (I think that a 3d work should costs a little less than a real sculpt), but it’s coherent with its size and little gifts. It’s a great piece to buy!